Dirty Horror Presents: When Ancient Demons Have A Sense Of Humor……. 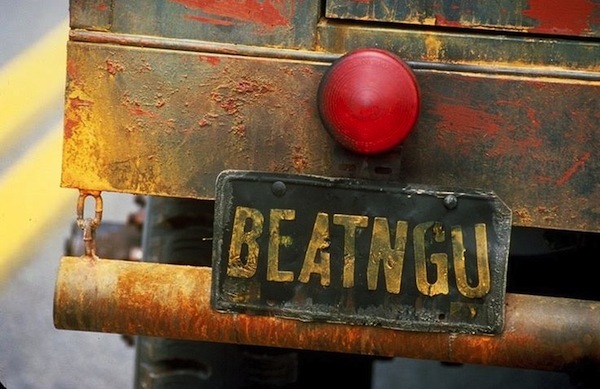 Upon sitting down recently again with the movie Jeepers Creepers, I came to the conclusion of three things. 1. The psychic lady is still annoying and I wish The Creeper would have killed her. 2. The movie itself is actually pretty good and a breath of fresh air if you watch it amongst the current crop of redundant paranormal movies. 3. The Creeper sure does have a good sense of humor for being an ancient demon that only comes out every 23rd Spring to hunt for 23 days. Let’s discuss that last one for a minute. Now, while The Creeper doesn’t crack verbal jokes like Freddy Krueger or anything (although he does like to whistle), he does have a very subtle humor that is equally as entertaining. Case in point would be his license plate. Get it? Because he’s going to ‘be eating you’ so he can replenish his organs and limbs to remain on top of his physical game. Haha! What a crack-up that Creeper is. So in addition to apparently being a pretty good mechanic (that truck of his can really move), an accomplished seamer (those bodies can’t be stitched together by just anyone), The Creeper really is a comic genius. Not sure how his stand-up would go since he doesn’t talk, but maybe he could be more of a prop comic like Carrot Top or something. So what does all of this mean in the long run? 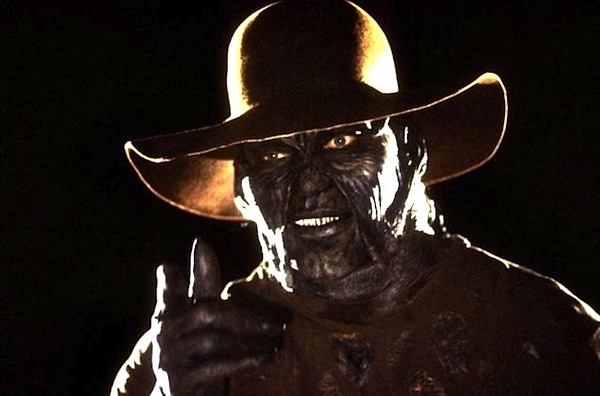 I want Jeepers Creepers 3. The horror world could use some more of The Creeper’s crazy antics. Just keep any kids out of the movie in case director Victor Salva has any uncontrollable urges.